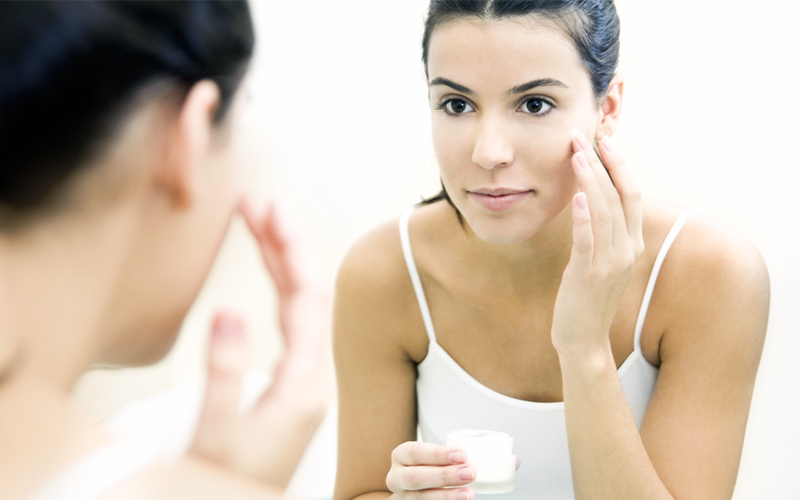 When it comes to keeping the right things in and the wrong things out, our skin is our body’s best defense. However, it’s not impermeable. Nicotine patches, birth control patches, and other transdermal medicines work because under certain conditions, skin absorbs. This means it’s just as important to take a look at the ingredients in our personal care products as it is to monitor the ingredients in our food. Furthermore, cosmetics that stay on the body have a greater chance of being absorbed than ones that wash off—for example, lotion, makeup, and cologne demand analysis first, then soap, shampoo, and shaving cream. Count the personal care products you use on an average day. Narrow it down to the leave-on products. Include deodorant/antiperspirant, lotion, makeup, balms, perfume/cologne, hair products, and aftershave. On average, this number is 12 for women and 6 for men. Despite how good they smell or how pretty they look, these personal care products may have disturbing long-term personal health costs. For example, a third of personal care products contain at least one ingredient linked to cancer; 45 percent contain an ingredient that may be harmful to the reproductive system or to a baby’s development; 60 percent contain chemicals that can act like estrogen or disrupt hormones in the body; and 56 percent contain “penetration enhancer” chemicals that help other chemicals penetrate faster and deeper into the body. Just to blow a few more misconceptions aside, neither the Food and Drug Administration nor the U.S. Department of Agriculture provides standards to the cosmetic industry. There are no requirements for cosmetic companies to file product formulations and neither are there requirements for importing cosmetics into the U.S. In fact, there is no prescriptive oversight of this industry whatsoever. There is the hope of progress around these issues with the introduction of the federal Safe Cosmetics and Personal Care Products Act of 2013. This bill would provide some oversight, accountability, and regulation to the current free-for-all. However, ultimately, we must each take individual responsibility for knowing what we’re exposing our bodies to when we use personal care products. 1. Simplify. How many different types of cleansers do you have in your shower? Facial wash, body wash, hand wash, foot wash…? Dirt and grime aren’t all that different from one part of our body to another, and cleansing molecules function the same way, grabbing grime with one side and water with the other. Pare down your product collection to those that are essential, versatile, and made with safe ingredients. 2. Take baby steps. This month, identify just one product and do some research. Choose the product that you use the most. Look up what’s in it. If there are some red flags, investigate alternatives. Take on another product next month. There will be some overlap in ingredients, so you won’t need to learn as much each time. By the end of a year, you’ll have cleaned up as many as 12 types of products. In the process, you’ll have streamlined your thinking and become able to dismiss commercials as mere marketing traps. And you’ll zip through store aisles with a savvy eye. 3. Familiarize yourself with independent third-party research organizations. The Environmental Working Group and the Campaign for Safe Cosmetics are good places to start. Parabens, which are endocrine disruptors that either mimic or block hormones and disrupt the body’s normal functions. Common ones are propyl-, isopropyl -, butyl- and isobutylparabens. Fragrance. “Fragrance” is a term that is protected as a proprietary formulation, and the blend can contain any of the ingredients mentioned below. In particular, it’s a hiding spot for phthalates, such as diethyl phthalate (DEP), which have been linked to birth defects in the male reproductive systems and alterations in the development of boys. A correlation has been found between maternal application of baby products and the presence of phthalates in infants. Ethoxylated ingredients such as those containing the word or phrase “myreth,” “oleth,” “laureth,” “ceteareth,” and other “-eth” compounds, as well as “PEG,” polyethylene, or “oxynol,” which are likely to be contaminated with 1,4-dioxane residue. This nasty residue is a production by-product and therefore will never be listed with ingredients. This residue is “reasonably anticipated to be a human carcinogen” by the National Toxicology Program (NTP) and is “considered a probable human carcinogen” by the U.S. Environmental Protection Agency. A disturbing 2007 report found this residue in 22 percent of all cosmetics. Monoethanolamine (MEA), diethanolamine (DEA), and triethanolamine (TEA), which are most likely to be contaminated with nitrosamines, compounds that can form after production. Nitrosamines have been found to be carcinogenic in all animal species tested, are “reasonably anticipated to be a human carcinogen” by the NTP, and are banned in Canada for use in cosmetics. Quaternium-15, diazolidinyl urea, imidazolindinyl urea, and DMDM hydantoin, which are formaldehyde releasers. Formaldehyde is used as a preservative, despite the fact that it is considered a “known human carcinogen,” according to the NTP, as well as a skin sensitizer, which means it makes the body sensitive to common allergens. Stay informed, read labels, and take it one step at a time and you’ll find that cleaning up your cleaning regimen is easier than you think. 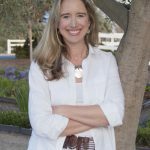 Lisa Bronner is the writer of the blog Going Green with a Bronner Mom, in connection with her family’s company Dr. Bronner’s Magic Soaps. Through her writing and public speaking, Lisa guides consumers through the quagmire of the organic marketplace and simplifies the process of green living at home. Embracing the concept of stewardship, she recognizes individuals’ ability to make a world of difference by how they live their every day. A stay-at-home mom to three, she believes that regularly gathering with them around the family dinner table is the single most important parenting act in her day. Once again, thank you Lisa, for all this important information and also thank you, for all the Bronner family have done and continue to do for all of us in this world.